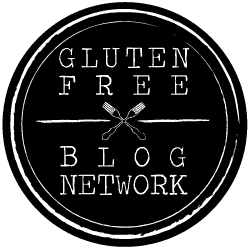 Tasty gluten-free recipes and inspiration for your dinner table. 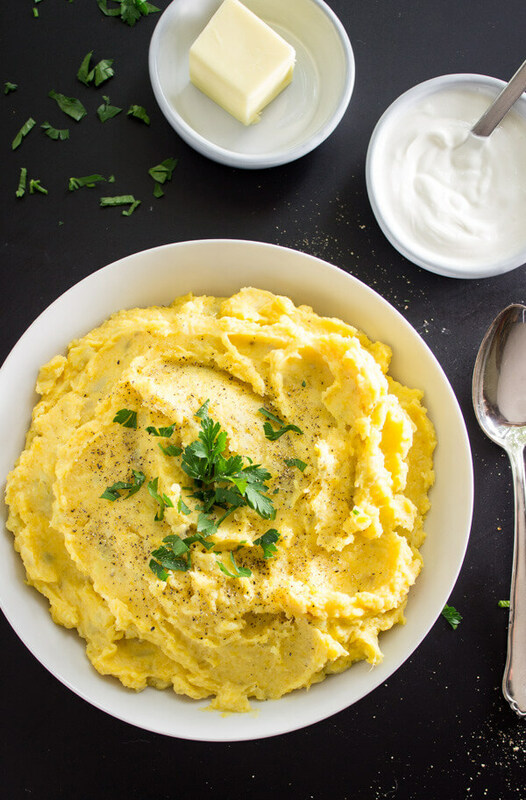 These dreamy mashed potatoes would like to be invited over to your place for the holidays this year. And they’ve requested a seat in the middle of your dinner table. Mashed potatoes can be so presumptuous. Sheesh. I feel like I’m about to totally mess with all that you hold sacred and dear when it comes to your traditional holiday mashed potatoes. It’s time to revamp them. Did I just hear some virtual gasps? I’m feeling that awkward silence coming on. Don’t be a hater. Hear me out on this one. 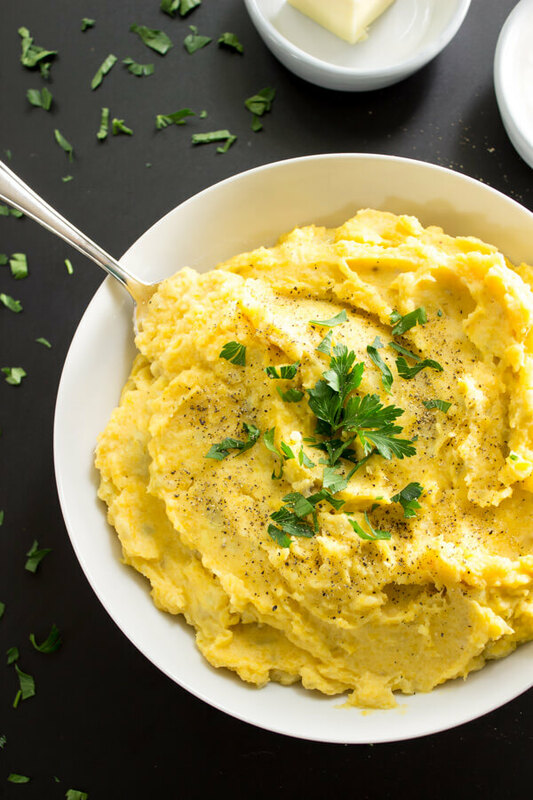 Mashed potatoes are the predictable holiday side dish. They always make an appearance. ALWAYS. And if they don’t, you need to go to someone else’s house for holiday dinner. Seriously, get outta there fast and run to the neighbor’s house or something. You’ve gotzta have some mashed potatoes during the holiday season. They’re the stand-in side dish when the turkey turned out a wee bit too dry or Aunt Mildred’s casserole surprise made another unwelcome guest appearance. I don’t have an Aunt Mildred. If you do I’m sure she’s a fabulous cook. Watch out for that casserole surprise though. Yeessireee, I’m gonna revamp your holiday potato side dish with a veggie whose name I don’t even know. But neither do the grocery stores. So it’s not my fault. It’s totally theirs. Blame them for the yam-ato confusion. Whatever side of the yam/sweet potato debate your grocery store falls on just look for the words Asian or Japanese. They are the purple skinned yam-atoes with the cream colored insides. NOT the red yam-atoes with the yellow orangey innards. Do you guys know what I’m talking about? Or have I totally lost you in a pile of root vegetable spuds? 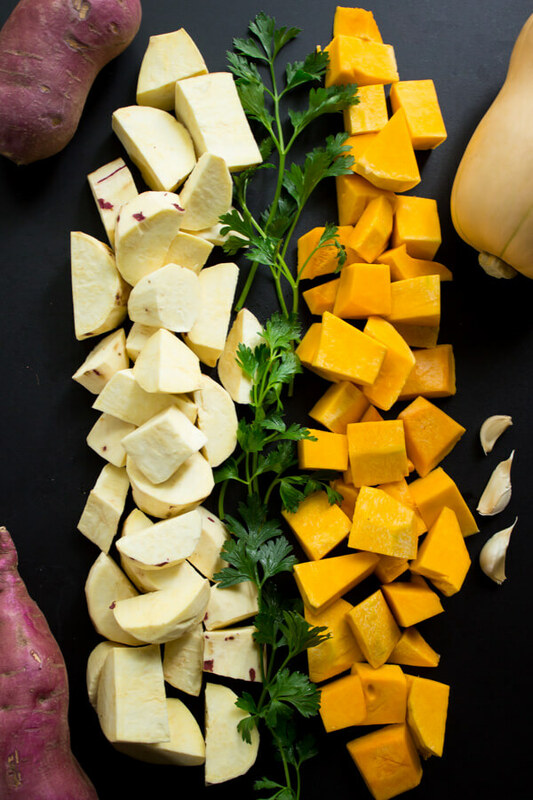 Anyways… once you get your hands on some of those sweet, creamy, purply colored yams, err… sweet potatoes, grab yo self a butternut squash too. And some garlic cloves. Chop them all up and throw them in a steamer pot for 30 minutes. No boiled potatoes here! These mashed potatoes like it steamy. Then mash ’em all up! Isn’t that the most fun part?! It’s like you get to be 2 years old again but it’s totally legit food mashin’ this time. As long as the mash stays in the pot and doesn’t wind up smeared all over your face and through your hair. That could make for an awkward moment with your dinner guests. Add in some sour cream, butter, salt and pepper. Serious potatoey comfort food comin’ at ya. 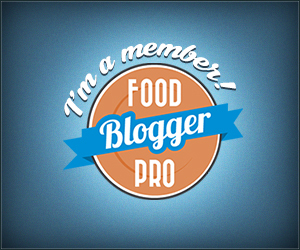 Wanna take this sweet potato obsession even further? Umm, yes pleeeez… Add some chopped bacon and grated cheddar on top for the win. Oh.My.Sweet.Tatoes. Aunt Mildred’s surprise casserole ain’t got nuthin’ on these dreamy mashed potatoes. 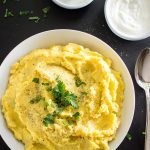 Naturally creamy and delicious Japanese sweet potatoes, butternut squash, and garlic are steamed and then mashed with butter, sour cream, and milk to create these dreamy mashed potatoes that are the perfect side dish for any holiday gathering. 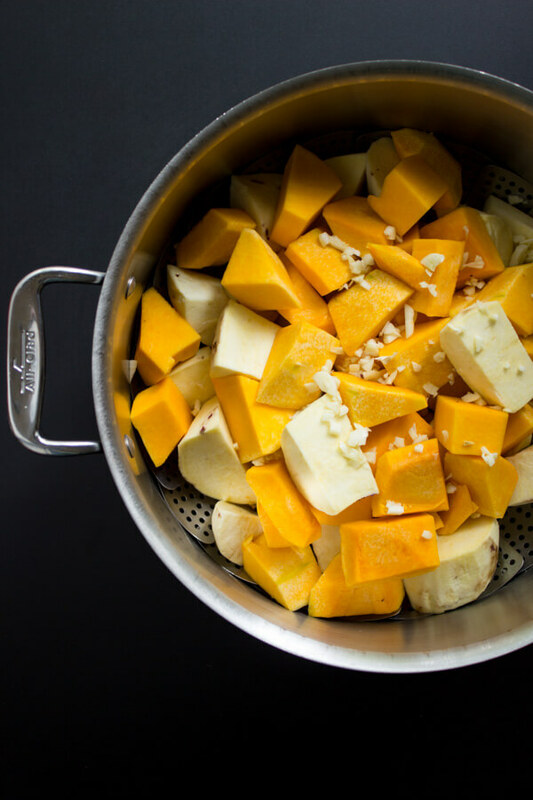 Place the sweet potatoes, butternut squash, and chopped garlic in a large steamer pot. Steam for 30 minutes or until sweet potatoes and squash are tender. Drain and return them to the pot. Add warm milk, butter, sour cream, salt, and pepper. Mash with a potato masher or fork until smooth. Add more warmed milk as needed. Taste and add more salt and pepper if desired. Top with fresh parsley, grated cheddar cheese, or bacon. Or all three! Disclaimer: All brand recommendations are purely my own opinion. I am in no way sponsored by the brands mentioned or compensated by the brand for my recommendations. 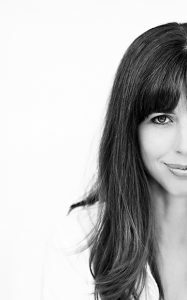 This post may also contain affiliate links which I may receive a small commission from (without any additional costs to you). The money earned from these commissions helps me to maintain this website. Thank you for your support! Can you boil instead of steaming? Yes, you can! Steaming them is better, however, at preserving color and flavor, and some of the nutrient content. Yum…these potatoes would be great with a Thanksgiving turkey!!! ???????? Simply amazing! A++, can’t wait for more. On second thought… I might make it sooner and then again in two weeks…. Very interesting, the flavors blend well, super creamy. Easy prep and cook, nice change. Requested to be made again!!!! This looks delicious Shannon! Can’t wait to try this recipe! Love your creativity! This looks really good! I’ll have to make it without sour cream but I think it will still be awesome! Wow! Dreamy? Yes! Creamy? Yes! These made it to a cider pressing party potluck where I loaded up on them as I’ve had them before. Crazy good, super comforting on a cold dreary day! Nice job Shannon. I can’t wait to see these again and I hope to make them for an upcoming Friendsgiving or Thanksgiving! 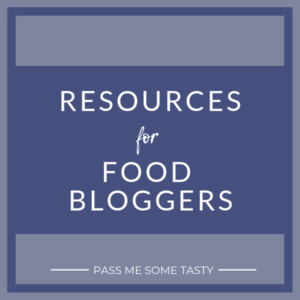 Subscribe to receive new posts from Pass Me Some Tasty directly to your inbox! Welcome to Pass Me Some Tasty!